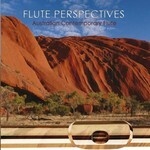 Flute perspectives / Derek Jones, Leigh Harrold. 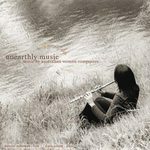 Unearthly music : music by Australian women composers / Kathryn Moorhead (flute), Claire Cooper (piano). 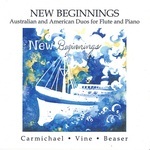 Flute Australia / Geoffrey Collins, flute, and David Miller, piano. MLC School Opera House concert 2001. 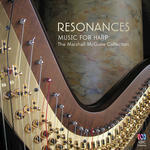 Resonances : music for harp / the Marshall McGuire collection. 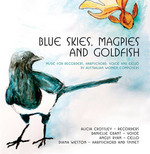 Blue skies, magpies and goldfish : music for recorders, harpsichord, voice and cello by Australian women composers. 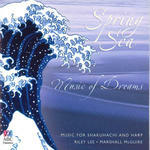 Spring sea : music of dreams / Riley Lee: shakuhachi ; Marshall McGuire: harp. Difficulty: Advanced — Flute AMEB grade 6 ; Piano grade 7/8. First performance: by Geoffrey Collins, David Miller — 4 Mar 79. Seymour Group recital in the Cell Block Theatre, Sydney. Unknown date: Royal Academy of Music, London. Featuring Hannah Porter Occena, Belle Chen. 30 Jun 2017: at Beneath the Midnight Sun (St Luke's (Remuera, NZ)). Featuring Emma Gerstein, Emily Granger. 29 Jun 2017: at Beneath the Midnight Sun (Creative Space 99). Featuring Emma Gerstein, Emily Granger. 25 Jun 2017: at Beneath the Midnight Sun (St John's Lutheran Church, Southgate). Featuring Emily Granger, Emma Gerstein. 19 May 2017: at A Sunburnt Country (deSingel). Featuring Maddilyn Goodwin. 12 Nov 2016: at Eliza Shephard (flute) & David Laughton (piano) (Richmond Uniting Church). Featuring Eliza Shephard, David Laughton. 9 Oct 2015: at Duality (Sydney Opera House, Utzon Room). Featuring Alicia Crossley, Emily Granger. 3 Oct 2015: at Alicia Crossley - Duality (Wesley Music Centre). Featuring Emily Granger, Alicia Crossley. 10 May 2015: at Arafura Ensemble: Women in Chamber Music (Supreme Court, Darwin). Featuring Arafura Ensemble. 1 May 2015: at Alchemy (St James' Church (King Street)). 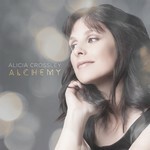 Featuring Alicia Crossley, Verna Lee. 17 Feb 2013: at A Flute for All Seasons (Sydney Conservatorium of Music). Featuring Philip Murray, Bradley Gilchrist. 13 Feb 2013: at Once Upon a Time (The Famous Spiegeltent (Melbourne)). Featuring Riley Lee, Marshall McGuire. 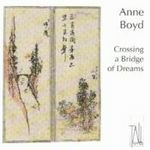 6 Nov 2011: at Diversity (Gryphon Gallery, University of Melbourne). Featuring Brenna Wee, Laila Engle. 13 Mar 2011: at Paris and a Touch of Tango (Forestville Catholic Church). Featuring Genevieve Lang, Lisa Osmialowski. 5 Apr 09: featuring Phillipa Candy, Teresa Rabe. 5 Apr 2009: at ABC Sunday Live concert (Llewellyn Hall ANU School of Music). Featuring Phillipa Candy, Teresa Rabe. 11 Feb 2009: at First Performances (Melbourne Recital Centre, Primrose Potter Salon). Featuring Roger Woodward, Geoffrey Collins. 1996: Sydney Spring Festival of New Music.. Featuring Riley Lee, Marshall McGuire. 4 Mar 79: Seymour Group recital in the Cell Block Theatre, Sydney.. Featuring David Miller, Geoffrey Collins.